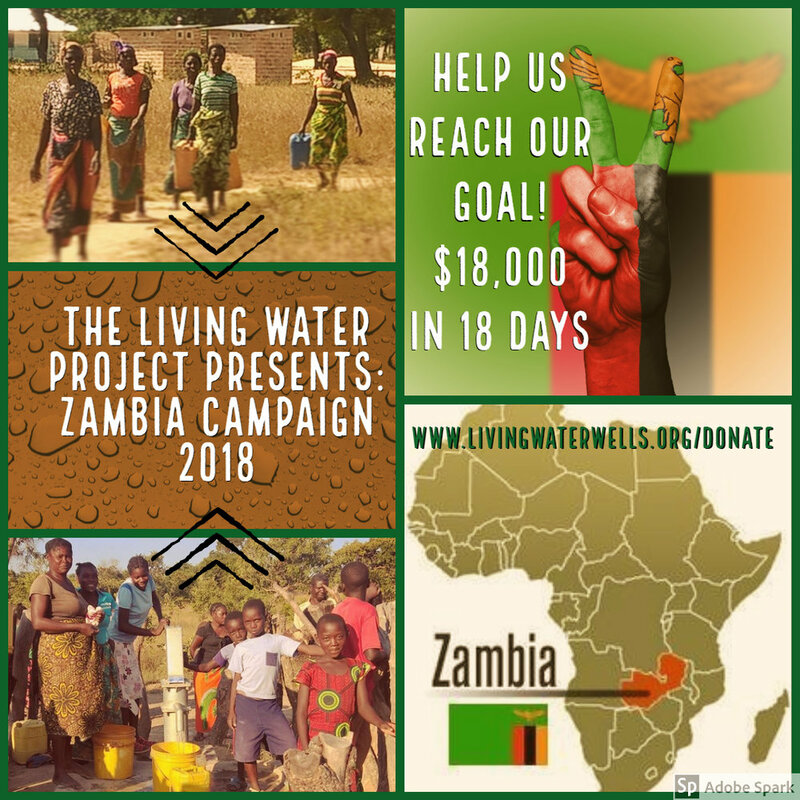 Summer at TWLP means we are thinking about Zambia! Last summer, you funded 16 wells thrugh our summer campaign, bringing clean water to over 6500 people. Let's do it again! Help us raise $18,000 in 18 days. Donate now at www.livingwaterwells.org/donate! This post was contributed by TWLP Board Member Kevin Colvett. Over the past year, we have been working with Lipscomb University and a Guatemalan Engineering firm “ADICAY” (www.adicay.org) on the largest project we have undertaken to date – a water system in the village of Setzimaaj (pronounced “sets-ee-mah”), and it is so exciting that each of the essential elements listed above are a part of the project. Lipscomb has been conducting medical missions to the area for the past three years, and water-related diseases have been a recurring theme for Setzimaaj and the surrounding villages, so it made sense to try and prevent, rather than simply treat, waterborne illnesses here. After consulting with ADICAY for a few months, Engineering students at Lipscomb’s Peugeot Center as well as Living Water Project Board members made some small modifications to the design and began soliciting funding for the project. Some of our long-term partners (www.wellcoffeehouse.com, www.adventresults.com, and www.knoxprocorps.org) committed several thousand dollars each to the project. It is a blessing from God to partner with so many entities like these. 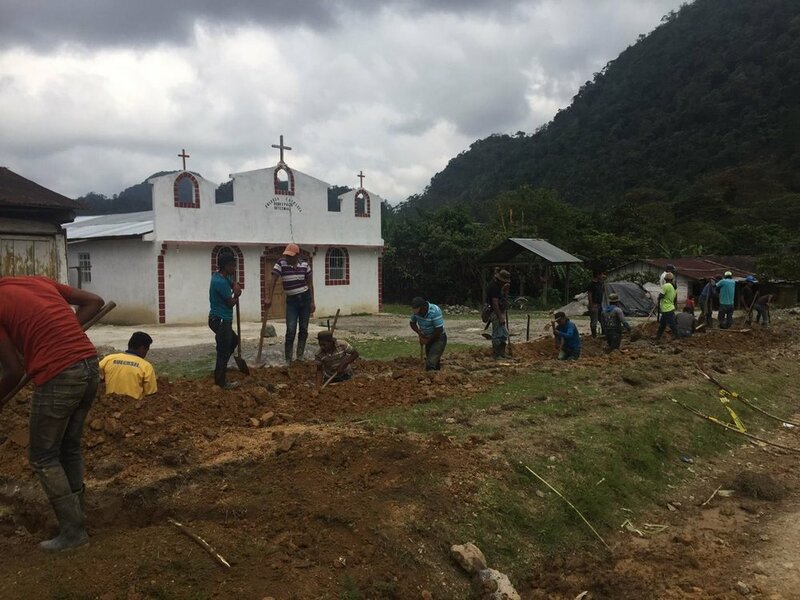 In March of 2018, construction began on the project, comprising of a few people from ADICAY, a few from The Living Water Project, a few from Lipscomb, and a few hundred from the community. In the span of just five days, almost three miles of pipe were installed. Lots of work still remains to be done. The remaining piping (an additional couple of miles) is being installed. Work on a large spring box and filtration system is now underway, with men from the village carrying hundreds of 100-pound bags of cement on their backs up the mountain. Most importantly, ADICAY is conducting several weeks’ worth of training with the community on how to run a utility and how to maintain it. Some of this training is the nuts-and-bolts of how to repair pipes and spigots, and some of it is simply how to collect user fees and track finances. All of the challenges, all of the hurdles, and all of the headaches present for running a utility for a city in the United States are present here too. As are the rewards and benefits and community development. As is often the case, the “story” here isn’t what engineers are doing, or what ADICAY is doing, or even what the villagers in Setzimaaj are doing. The story here is what God is doing. On the day before the construction team left in March, I was having a conversation with the project superintendent for ADICAY. We were standing up on top of the tank overlooking the village, and I asked him, because I was curious of the perspective of a Christian Mayan, “Do you believe in miracles?” It’s a question that has been on my mind a lot recently, but I wanted to know his response. There were villagers watching drinking water come out of the new water service line that had just been installed at their house. So I simply replied to him – yes, miracles like this. I believe in miracles like this. We are pleased to announce that the inaugural Living Water Project Art Auction raised around $2500 to go toward clean water projects. Special thanks to Marilyn Switzer, Emily Bruff, and Janelle Mayfield for their hard work in making this event a success! The inaugural online LWP Art Auction ends tomorrow at 11:45 PM. Don't miss your chance to bid on beautiful pieces of artwork from both friends of TLWP and countries where TLWP has partnerships. 100% of proceeds will go toward more clean water projects all over the world. Many, many thanks to Marilyn Switzer, Emily Bruff, and Janelle Mayfield for their work to make the auction a reality! Announcement forthcoming about the bracket challenge winner! This post was written by TLWP Board Member, Jennifer Thompson. Jennifer and fellow TLWP board member, Kevin Colvett give a first hand account of their recent trip to Nicaragua. In January, OneWorld Health dedicated its newest clinic, in the city of Jinotega in Nicaragua’s mountains. The clinic includes patient rooms, space for rotating specialists, an ultrasound room big enough for families, and plenty of space for labs and cultures. Nine of us from TLWP traveled to Jinotega for the dedication, tied to this clinic by its water system. In the fall of 2015, Jackie England, a longtime TLWP supporter and dear friend to many connected to us, passed away from a chronic kidney condition. Jackie’s family requested that donations in her memory be given to TLWP, and we are honored to be able to so actively participate in remembering her. Around the time of Jackie’s death, we received a message from longtime friend of TLWP TJ McCloud, OneWorld Health’s regional director in Nicaragua. TJ was in the beginning stages of planning a clinic in the Jinotega region in Nicaragua’s northern mountains, where kidney disease, especially among Nicaraguans who spend their working hours outside in the fields, is one particular concern. Generous donations in Jackie’s memory totaled about $15,300 - just over what was needed to completely fund the water system in the Jinotega clinic. As TJ noted at the dedication, TLWP’s support via funding the water system allowed OWH to dramatically increase the clinic’s lab facilities that will grow into a regional hub for these services, allowing them to serve an even larger population. In the days after the dedication, we traveled to communities with whom we hope to partner in making clean, healthy water more accessible. In my time on the board I’d seen plenty of photos of places in need of water, but photos cannot compare to physically standing in a coffee field where chemicals are running into an open water source, used every morning by both a woman who lives up a nearby hill and the animals that live nearby; or standing next to a beautiful, peaceful river just before being told it is essentially acting as a sewer system for several towns, and that the people who live in the houses you just walked by are nearly always sick. We are so thankful to all of Jackie’s friends and family who, in the midst of their grief, will make such a difference in the lives of so many through the Jinotega clinic. We are so hopeful to see what this beginning - that she and her family have helped bring about - will become. Jackie’s husband David wrote a beautiful post about the trip in his own words here. Community president Humberto stands next to the current, polluted water source in Yanque. 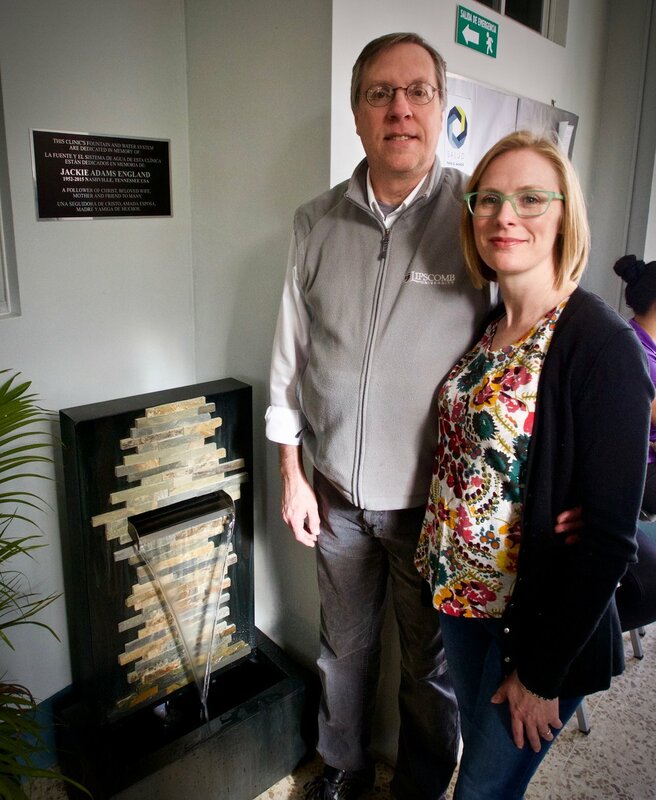 David England and Melody Gurley, Jackie England’s husband and daughter, next to the plaque and water feature in Jackie’s memory, placed in the clinic waiting area. Thanks to the hard work and generosity of so many, 2017 was a wonderful year for the Living Water Project! Below is a snapshot of that year, and some updated numbers on what’s been accomplished since our founding. Approximately 74,600 people are benefitting from these 104 wells on a daily basis. To put this in perspective, this is almost identical to the population of Franklin, TN (74,794). The wells in Benin and Cameroon were our first-ever to be funded in those countries. 2017 was TWLP’s 17th year of partnering with communities around the world to provide clean water. Since its founding in 2001, Living Water has funded a total of 379 wells/clean-water projects in 22 different countries. These projects represent a total of $968,070 committed to clean water development. …..and, as always, all of this was work has been done by unpaid volunteers! We are so grateful for the role that so many of you have played in making all of this possible, and we look forward to seeing how God blesses this ministry in 2018. This report was written by Jon Lee, Director of Operations. The Living Water Project would like to thank volunteer Cara L. Harris for designing the graphics below! You did it! To date, TLWP has received $256,322.14 this year! Thank you for entrusting and joining us in this effort. We are amazed and humbled by your generosity. Reaching this goal means more people in Cameroon, Chad, Congo, Kenya, Niger, Togo, and Zambia have access to clean water, and we have grown even more inspired by the community making this possible. From donors to ministry partners and diggers, it is an honor to partner with God in bringing clean water to His people. We are reviewing grant requests for $200k in new water projects. If you or someone you know would like to join in this, please let us know! It’s been said that it is better to aim high and miss than to aim low and hit your goal. How much better is it to aim high and hit the goal? TLWP board aimed high for 2017 by setting a goal to raise $250,000. We are praising God that by His grace and your generosity, we are only $5,000 away from reaching our goal. $5,000 may not sound like much, but it is enough to fund a well that will serve and better the lives of a whole community. Will you join us in our push to hit our goal by the end of the year?